The second round of GCL Paris kicks off today, with all eyes on the teams to see which tactics and strategy comes into play for this afternoon’s crucial competition. With 11 teams within one pole of each other, it’s going to be an edge of the seat showdown, set against the iconic Eiffel Tower in France’s capital city. There has been no movement between horses and riders in the top three teams, with Hamburg Giants, Montreal Diamonds and Madrid in Motion making zero changes to their horse or rider line up. Monaco Aces will pull top French rider Simon Delestre off the bench, with the popular rider bringing out top horse Hermes Ryan to compete alongside Jerome Guery with Garfield de Tiji des Templiers while Rome Gladiators will draft in Marlon Zanotelli to replace Lorenzo de Luca, the Brazilian teaming up with Laura Kraut for this round of action. 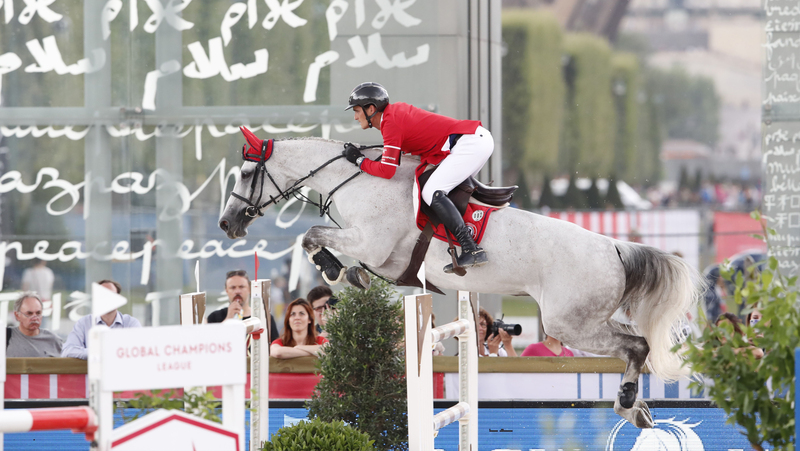 Michael Whitaker will step up for Doha Fursan Qatar, riding alongside Sheikh Ali Bin Khalid Al Thani as the team look for valuable points in the Championship and the fight for a place in the GC Prague Playoffs. In the overall ranking battle Valkenswaard United keep their tried and tested line up of Bertram Allen and Marcus Ehning, as do the London Knights combination of Ben Maher - a rider looking on phenomenal form this weekend - and Olivier Philippaerts. Shanghai Swans’ Alexandra Thornton will make a strategic horse swap to compete with Cornetto K today, while teammate Pedro Veniss keeps his ride with Uccello de Will. Miami Celtics will bring in Cameron Hanley to ride alongside Jessica Springsteen, and the Prague Lions will field U25 rider Anna Kellnerova alongside new signing Peder Fredricson. The action kicks off at 16:00 local time, with all the action streamed live via GC TV and on Facebook Live.